A new concept for triathlon clip on bar, light, easy to assemble and follow the ITU regulations. This version in carbon will surprise the riders for lightness and ease assembly on bikes with just 4 bolts. The arms are connected in one piece so they align perfectly. There is a central bridge to mount a computer or HRM. The bar has 20 mm of adjustment. 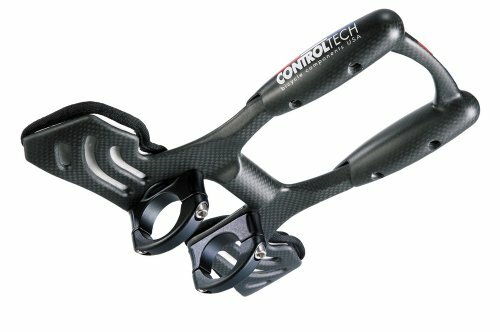 If you have any questions about this product by Control Tech, contact us by completing and submitting the form below. If you are looking for a specif part number, please include it with your message.